There are lots of ways that your school, college, youth group, scouting group, children’s liturgy group or confirmation group can get involved with Laughter Africa. You could campaign, fundraise, volunteer or raise awareness of the plight of street children either by using social media, contacting your local media or MP, setting up a Laughter Africa group or by leading assemblies or workshops in your school. You could even send messages to the street children we work with and show them that you are standing in solidarity with them. However your school or youth group chooses to get involved – THANK YOU! Laughter Africa has written a variety of amazing resources which are best led by a Laughter Africa schools and youth volunteer. The resources and visits are available for primary and secondary schools, sixth form colleges and all other types of youth groups. Our activities are suitable for any age from four to eighteen year olds. It could be an assembly, workshops, enrichment days or retreats. Whatever you are looking for we are happy to provide. Laughter Africa sessions can fit with Religious Education, Geography, Citizenship or PSHE lessons. 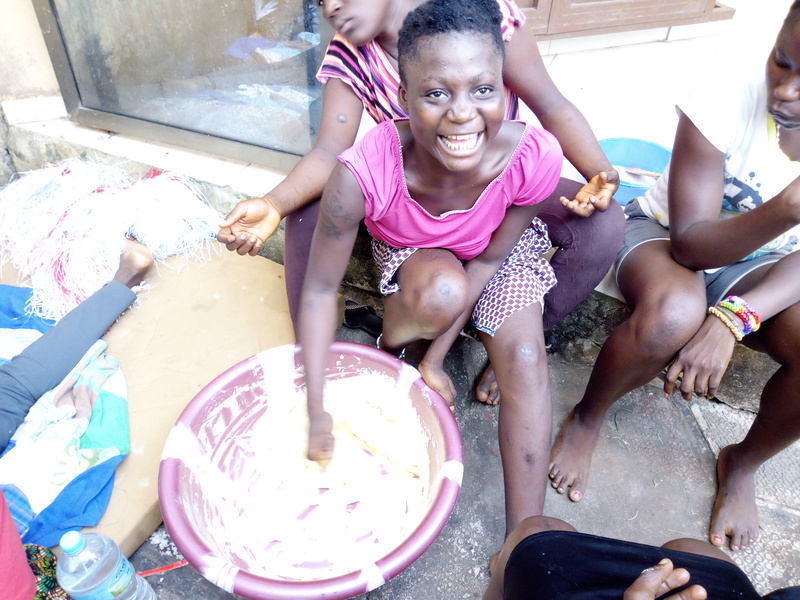 Our activities don’t purely focus on street children; we also focus on other developmental issues affecting Africa and other continents too. The topics could range from poverty, water, gender based violence, climate change, food, sport, business, emergencies, war and conflict, child soldiers, HIV and AIDS and many more issues. Activities include African dancing, quizzes, games, football tournaments, games from around the world, drama, bush-tucker trials, fashion shows, simulation games, activities and plenty, plenty more……What’s best of all about Laughter Africa school and youth group visits is that they are completely FREE of charge. All our schools and youth volunteers are fully trained and experienced. They also all have DBS checks. If you would like your school or youth group to have a visit from Laughter Africa please contact us at info@laughterafrica.org.uk. The volunteers are happy to travel all over the UK. You can visit our twitter page to see photos from some of our visits to different schools to give you a flavour of what we do. Why not start a Laughter Africa Action group in your school. Laughter Africa Action Groups champion the rights of street children and inspire others to take action. These groups fundraise, campaign, arrange events/activities and raise awareness for Laughter Africa in your school and wider community. It could be anything from arranging cake sales to lobbying your MP to leading assemblies in your school or your old primary school. Your group could get involved in anything you would like to do. Not only will you be making a difference to the lives of street children, it is also perfect for fulfilling the criteria for the Duke of Edinburgh Awards, A-level citizenship and the International Baccalaureate. It also looks great on UCAS application forms and CVs. We can give you lots of training, resources and support too so please let us know if you do set up a group and we can send you lots of ideas. Your school or youth group could write letters, cards or take photographs and send them to the street children. It could be a Christmas card or birthday card. You could even send video messages. You could tell them about yourselves – your hobbies, your school, your family, even about your favourite footballers. Anything you’d like to share. You could even send them letters with jokes in. Or you could send them clips of you singing Christmas carols, pop songs or something from your recent school musical. Sometimes receiving a card or a letter is better than anything else in the world especially to a street child who has spent a lot of their life being told that they are worthless and don’t matter. Taking the time to acknowledge them and show them that someone does care is the best present that you could ever give them. 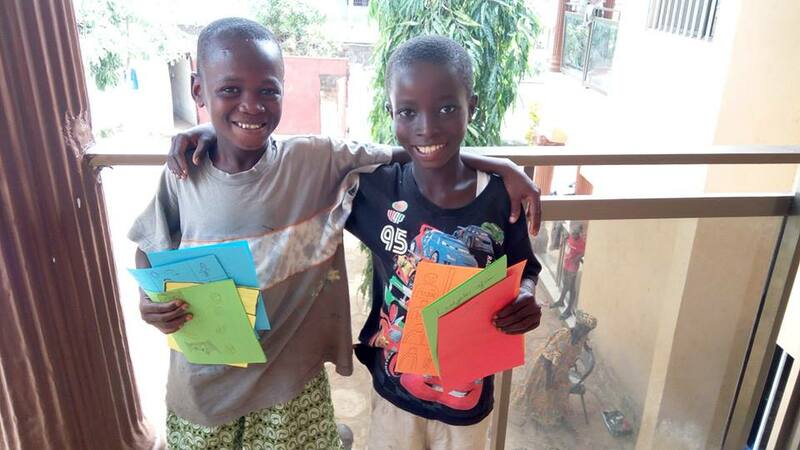 Although we cannot reply to your letters individually, we will take a photograph of the street children holding the letters that they have received from you. Whichever way you choose to send a message please know that it will be received with joy. In the future when we are working in more countries, you could just focus on connecting with one country in particular or you could choose to write to all of them – the choice is yours. The pupils at Blessed Thomas Halford Catholic College even made friendship bracelets for the street children showing that they are in solidarity with them. If your school or youth group would like to send messages then please email info@laughterafrica.org.uk and we’ll let you know the best way of sending them to us. If you have any queries then please don’t hesitate to contact us at info@laughterafrica.org.uk. We are only a phone call or email away and we will support you with advice, resources or anything else you need. We are here to help!